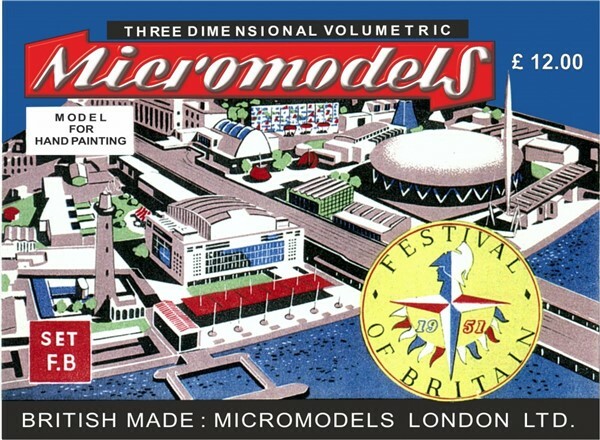 Description First and only issue in 1951 at 3/4d. 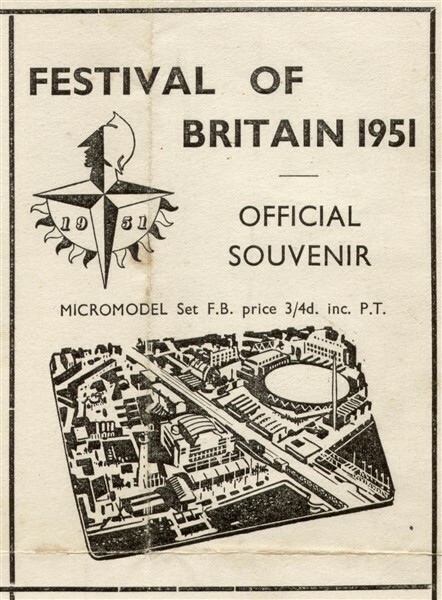 As you can read in the 1951 catalogue of the Festival of Britain the model was an official souvenir of the Festival in London that year. It was catalogued as out of print by 1953. No stocks passed to Broadway Approvals in 1956. 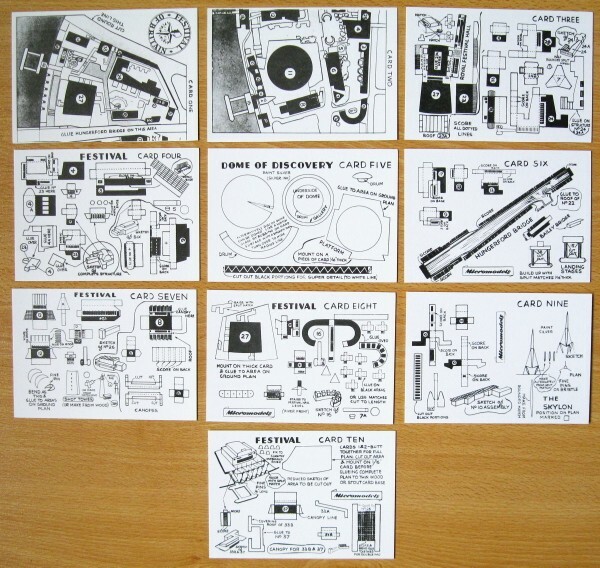 The wrapper is in colour, but the cards are in black and white. one printed straight from the original printing plates. This version is printed on modern white paper, so it is distinguishable from the original. Collectors have to be cautious, because when you see only a picture of this model it is impossible to determine if it is an original or a re-issue. one with Autocraft on the bottom, price removed. one with the head Micro New Models. 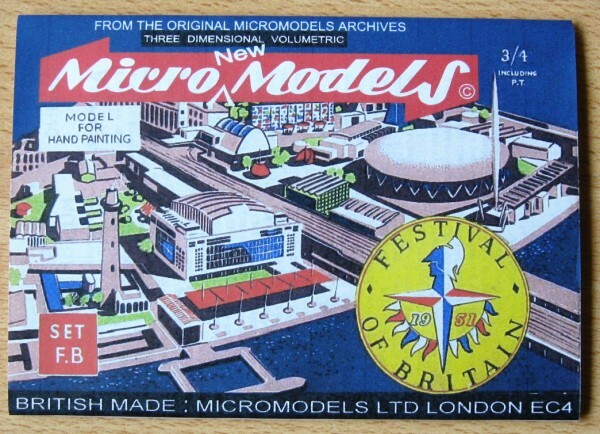 Micromodels London also issued the model. 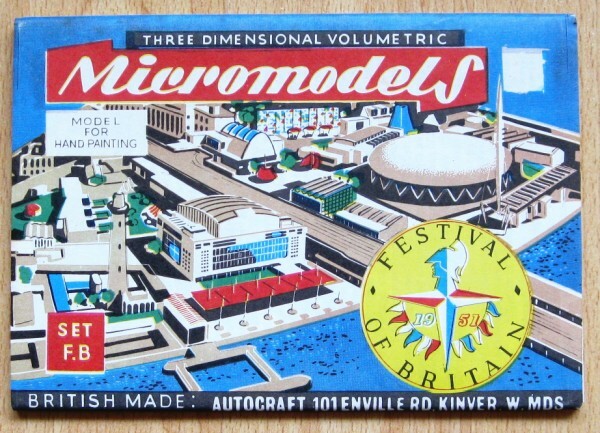 It is fairly certain that the firm of architectural model makers, Thorp Model Makers Ltd., gave a large amount of assistance in designing this Micromodel (as they did with the London Gates and the Old London Bridge). 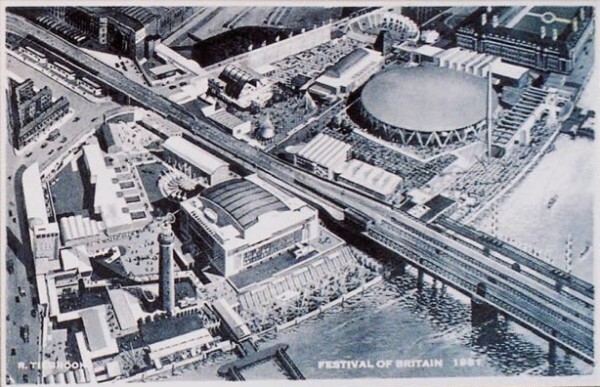 The Museum of London has a large model of the complete festival site that was constructed by Thorp. 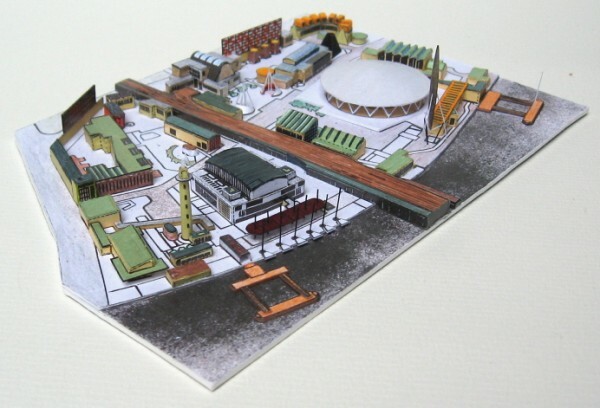 It was the original architect‘s layout model of the full festival site. 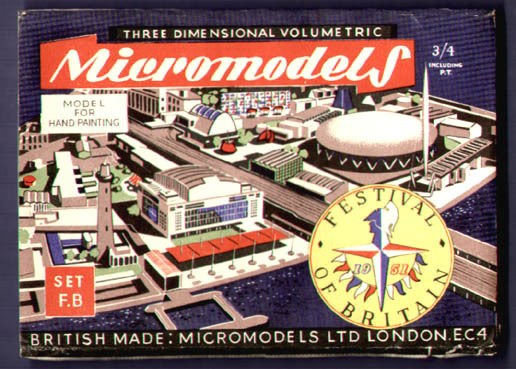 The model is in storage in the museum basement so cannot be viewed.